James Gedris continued his stellar cross country season by winning this past weekend's Marauder Invitational, which was hosted by Carson City-Crystal. Gedris put a ten second gap on the race's runner-up and cruised in for the victory with his 15:42.00 effort. 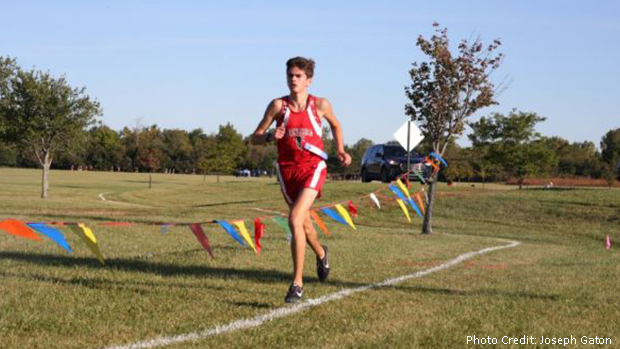 The Grosse Ile athlete has broken 16 minutes on five occasions in 2018 and he's currently ranked third in the state (overall) and twenty-seventh nation-wide among 2019 grads from his 15:11.22 clocking at last month's Monroe Jefferson Invitational. Gedris has been a regular at the MHSAA State Championship over the last three years and he's acquired big meet experience by lining-up at the Nike Cross Nationals Midwest Regional and the Foot Locker Midwest Regional during his high school career. Following Gedris in the standings at the Marauder Invite was Dearborn Divine Child's Michael Hancock. The junior posted a time of 15:52.20. Hancock has finished in the top 5 in all seven of his races this season. He's currently ranked fifteenth in Michigan due to his 15:33.30 result at the MSU Spartan Invitational on September 14th.